Welcome to the Museum of the most Italian of spirits: Grappa. Not far from Venice, at the foot of Monte Grappa, lies the enchanting town of Bassano del Grappa, the "capital" of the very Italian distillate: Grappa. In the heart of the town, opposite the historic Ponte Vecchio, in the old "Palazzo delle Teste", is the Poli Grappa Museum. The Poli Grappa Museum, the result of a long and passionate research, the Museum was created by the Poli Family in appreciation of Grappa. 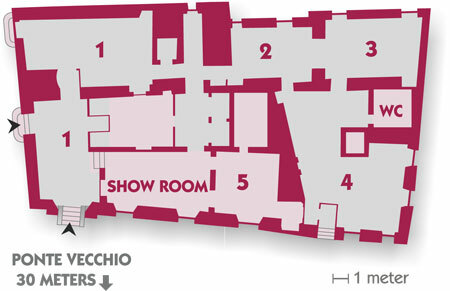 The Museum consists of five suggestive rooms and visits are self-guided. Open every day: 9 am / 7.30 pm. Closed on 1 January, Easter, 25 December. Admission free. The fee for a tour and for the tasting of 5 spirits is 3,00 € per person. - Sweet: with a piece of local “Fregolotta” cake and Grappa-filled pralines. The fee is 6,00 € per person. - Savoury: with appetizers. The fee is 6,00 € per person. In the first room, thanks to the rebuilding of distilling apparatus and the display of printed documents, the origins and evolution of the art of distillation throughout the years can be traced: from the alchemists intent on discovering the elixir for a long life, to the renaissance doctors who distilled herbs and flowers for medical purposes, to the Venetian eau-de-vie makers who in 1600, produced brandies for non-essential use. In the second room, by means of some illustrations, stills and production tools, the origins of Grappa are described and also the features of the raw materials – the marc, in addition to the different methods of distillation and the reasons which make this Italian distillate a unique product all over the world. In the third room, a video on Grappa production is available. In the fourth room, the widest and most complete collection of Grappa miniatures known in Italy is exhibited. Moreover, you can try the “Olfactometers”, two special installation sets which allow visitors to smell twenty different kinds of distillates; the feedback of your own olfactory experience can also be left in the Museum by filling up a short form. Also less skilled people can try to smell these products and recognize the main aromatic features of each distillate. The tasting of a favourite distillate is honoured for best experts. In the fifth room, there is a showroom where you can taste and purchase the products of the Poli Distillery. The proceeds of sale are used to deepen the research into the art of distillation and the origins of Grappa. n between the first and second hall we cherish the Library of the Spirits.